Here in Nashville for Electronics Reuse Conference. Formerly the TechSoup conference, which had mostly NGOs engaged in the Digital Divide, the conference is now managed by a private Chicago company. I was proud to receive a "Jim Lynch Lifetime Achievement Award" last year, when the conference was in New Orleans. Jim Lynch himself nominated me - and said he had done so every year since the award was established in his name, a something that really touches me. Jim and I shared a 5 hour drive from the Retroworks de Mexico plant in Fronteras, Sonora, a few years ago. We shared a rather romanticized concept of India in our youth. I didn't go there to meditate, as Jim did for a year. Perhaps because when I said I intended to, my chum Sri Chatrathi from Fayetteville High School remarked "Go smoke pot in your own country, we don't need any more white hippies in India." This week, Nashville is about the Right to Repair. A lot has been happening, and more of us are realizing that a Right To Repair is simply an invitation to Manufacturers to restrain their own speed. Once the government has a chair at the table, look what happens. Feds say Hacking DRM to fix your owned phone is LEGAL. Consumer Reports Magazine covers this as well. Right to Repair is a big deal to people who are bootstrapping through life. Whether "most Americans" repair their stuff isn't the point. Those who need a right are what makes it more than simply a privilege, and repair laws give Government a seat at the table. 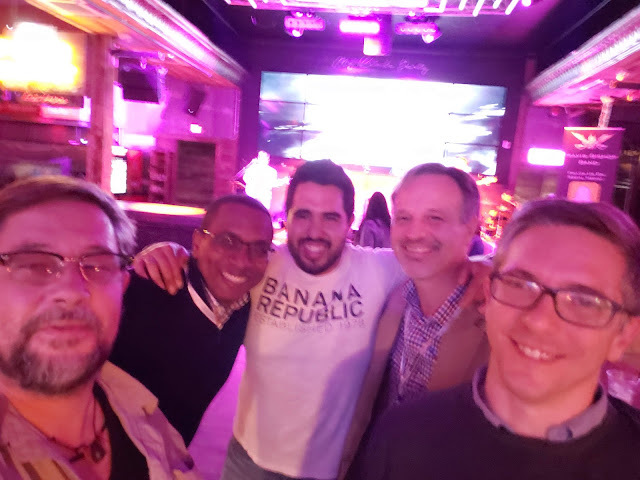 Last night in Nashville, dinner was with Oscar from Retroworks de Mexico, and a Ph.D candidate from Barcelona, and refurbisher from Dominican Republic, and Charles Brennick of Seattle. We ran into two Frenchmen from BackMarket.com at the second rooftop bar and band show. I hope the Electronics Reuse Conference will encourage more international attendees, who face hundreds of dollars in travel expenses, and often, like Oscar, come from pretty modest means. I have paid the fees of attendees from Ghana, Egypt, Malaysia, Indonesia, Cameroon, Mexico, etc. before, and will do it again. That's something Good Point Recycling of Middlebury, Vermont, does. We recognize the same hard work and Yankee ingenuity in non-Yankees that we recognize in hardscrabble Ozark and Appalachia repair shops. Reuse and Secondhand Goods are the safety net for poor people everywhere. So, from that rambling context, the bid discussion in Nashville is about Right to Repair, and whether Vermont's legislature will pass the Fair Repair Act. I have been submitting comments in favor of the bill, and wanted to sum those up ever so briefly. State legislatures are known for attracting a lot of retired people, and Vermont is surely no exception. I began by reminding people of the Magnuson Moss Warranty Act of 1975, which established a federal agency to review and police warranties. The warranties are not required, but if a manufacturer chooses to claim their product is warranteed, there is a government backstop. The existence of the backstop gives the value. Like a cop parked on the side of the highway, the effect of a warranty law is to slow down aggressive drivers. The 1975 testimony from manufacturers against MMWA 1975 sounded a lot like the testimony from manufacturers against the Fair Repair Act. Very very very complicated testimony creates an impression among legislators that there might be some unintended consequence to letting consumers have a right to repair. Several times we've heard that individual consumers will install "Volkswagen" software to trick emissions tests. Hey, keep it simple. No government regulator will back that behavior. The behavior the Fair Repair Act will effect is creative sabotage, or planned obsolescence, by manufacturers. And like the MMWA, that behavior will be enforced by the manufacturers own legal teams. "Creatively written" warranties of the 1960s threatened to make them worthless and confusing to consumers. But after the act was passed, if a car company's legal office had the bright idea to make the warranty void if the car got rained on, a higher up at the legal office would overrule them. The exposure of a manufacturer to a claim under the Mag Moss Warranty Act was greater than the benefit of "speeding", just like a cop car on the highway. Legislators will not need to consider every complicated and long example of unintended consequences if they pass Fair Repair... the manufacturers will police themselves. If the Act isn't passed, my company could lose dozens of jobs. Manufacturers are experimenting with RFID tags and software code that would make a part from computer A not work in the exact same model of computer B. The "parts swapping" business has always been the go to for lower income consumer repairs. And it has never led manufacturers to the Burning Ring of Fire. Manufacturers could claim that used parts supports a black market of chop shops and stolen vehicles. But that's not what Fair Repair will protect. The right to repair will allow me to take a part off of a 2013 Honda Accord and use it to fix my 2012 Honda Accord. If Honda doesn't like that, they should have leased me the Accord instead of getting 100% of the money up front, and telling me it was mine. I am really worried about the killer chip technology, having seen how it was used to thwart printer ink cartridge refilling a decade ago. The legal fees Lexmark and HP and others firehosed, chasing cartridge remanufacturers all the way to the Supreme Court, shows how seriously some OEMs take the secondhand market. The Right To Repair market would put a government regulator in the "standing" of the consumer or remanufacturer. It doesn't mean the government will testify on behalf of a car thief. But the mere possibility or likelihood that a printer manufacturer would face the government in court, in addition to the cartridge refiller, would change the playing field. That is why some manufacturers oppose Vermont's Fair Repair Act so ferociously. They don't want a potential government player on the consumers's team. 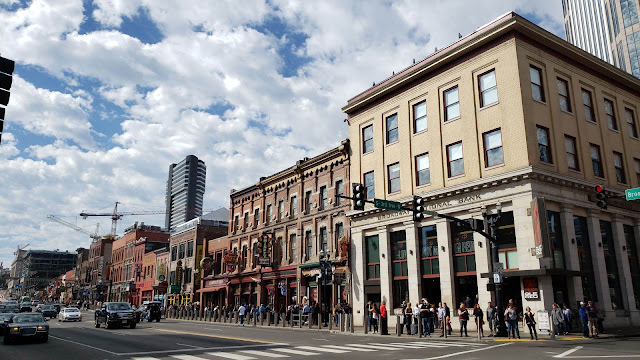 The Act can be passed in silence, and Vermont legislators may never even know what anti-reuse behavior was cancelled in the OEMs legal offices before it ever emerged.